As your season progresses, you'll need to record the actual + forecast movements for your crop types. Harvests can be added in either from the main cropping tracker dashboard, or from within the crop season detail page. 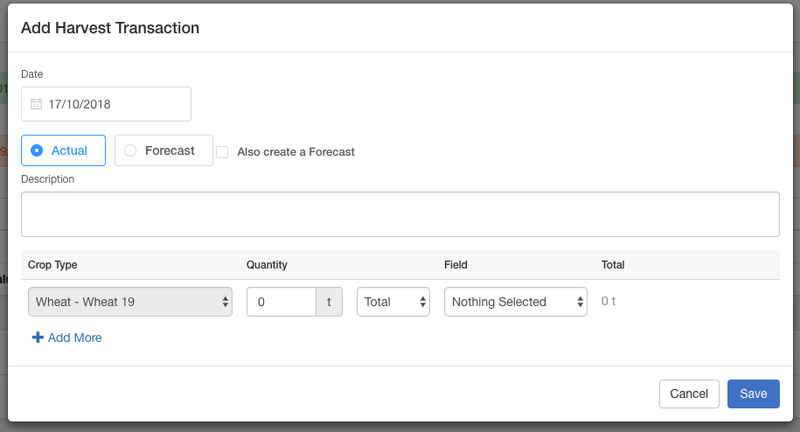 Actual and forecasted sales information can be added in either from the main cropping tracker dashboard, or from within the crop season detail page. When raising actual sales, you can mark these to be posted to Xero. 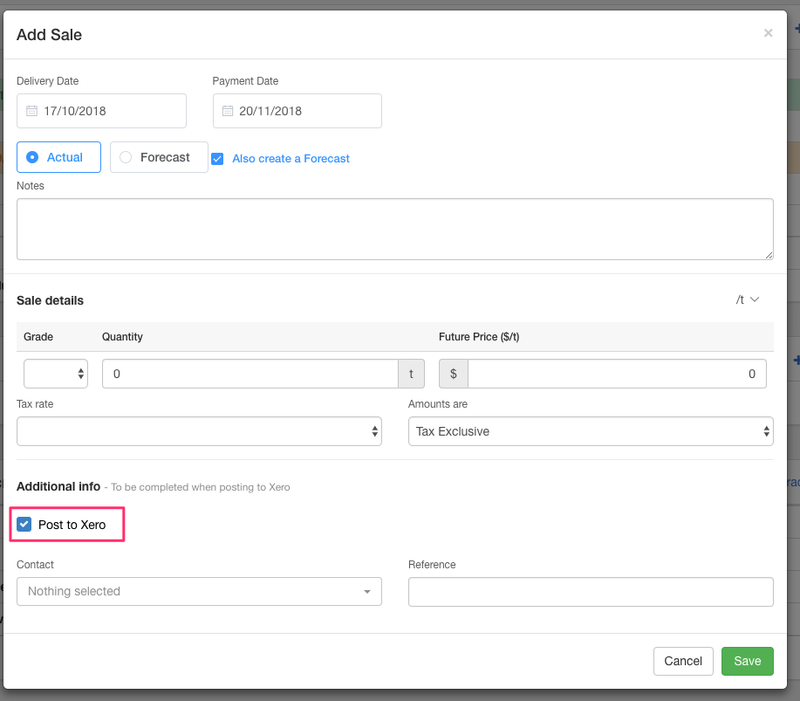 Direct costs for actuals are not posted from the cropping tracker directly, instead direct cost products can be bought in your product warehouse and then allocated to a crop, or they can be purchased in Xero and allocated to a crop after that. You can read more about the product warehouse here, and the allocator tool here. As you add in forecasts to your cropping tracker, Figured will keep track of them and notify you when the sale / cash date has passed - and ask you if you'd like to convert these to an actual. You can opt to confirm the forecast as an actual, or dismiss it by pressing x. On the confirmation screen, you can change any of the details relating to the transaction - such as quantities and price. Confirming a forecast as an actual will not remove the forecasted transaction, it will remain for any variance reporting you need to do in the future. In some cases it's necessary for you to have both an actual and a forecast transaction for a cropping harvest or sale. For example if your sale date falls in the past, but the cash date is a few months in the future, you would need to have that reflected in an actuals + forecast cashflow report. 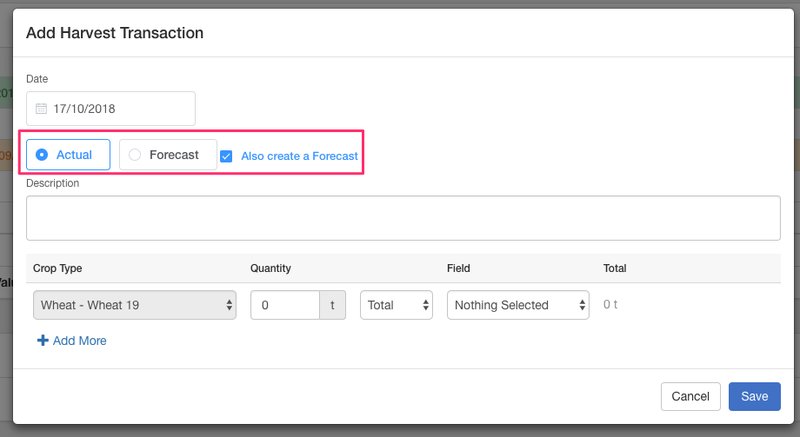 When adding in an actual, you'll be given the option to also create a forecast which will use the same details as the actual.